Pain in eyes, or swelling around eyes. If you pull a tick off of you the very BEST thing you can do is send the tick off for testing. The reason for this is because a lab can tell you exactly what diseases that particular tick was carrying. This will help you know what you need to look out for, or get a head start on a prophylactic antibiotic treatment. On the flip side if the tick comes back clean that can give you a piece of mind. Each state has a state run lab which you can send the tick off to, and there are also quite a few at home collection kits on the market. Most of them run about $150-300 per tick tested and varies depending on which diseases you want it checked for. That can get pricey, which is why I want to share an option with you for ﻿FREE﻿ tick testing. The Bay Area Lyme Foundation is offering FREE tick testing nationwide. They have a lab which is examines the ticks and reports back to you what diseases the tick was carrying. So, why is it free? Because the use of citizen science is very helpful to scientists who need to get data collection from all over the United States. 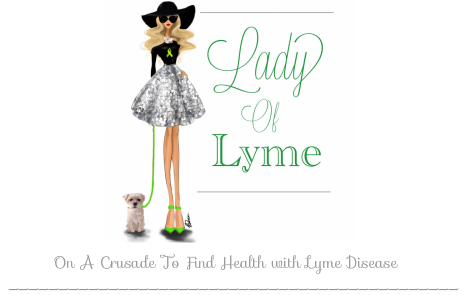 You get a tick tested for free and The Bay Area Lyme Foundation gets data about ticks nationwide for their research purposes. You can get more info about it here. Note: The tick can be dead or alive, but ideally collected less than 72 hours ago (if possible keep it in the freezer). Put your tick in a small Ziploc baggie with a moist cotton ball or piece of wet paper towel. If you have access to a small vial and alcohol, you can use that instead.